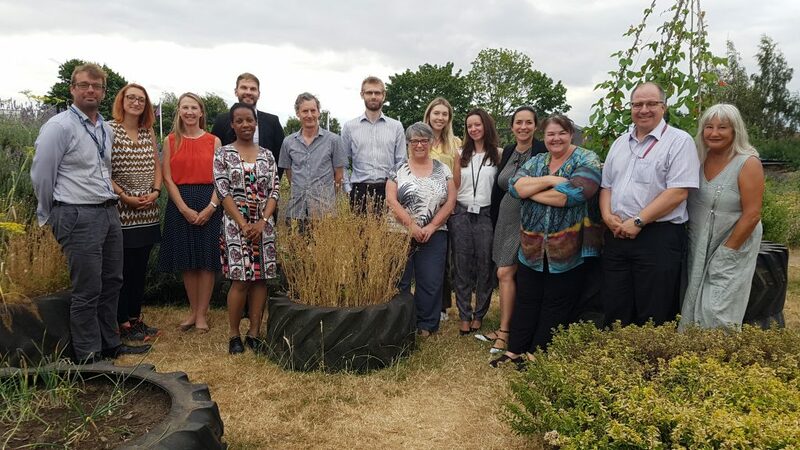 Sustainability professionals from across Nottingham attend the Green Partnership’s quarterly meetings to share best practice and to find opportunities to work together to accelerate Nottingham’s growth in a sustainable way. The partnership is developing a sustainability plan called Nottingham 2050, which will set an ambitious vision for the city. The plan covers six themes – Biodiversity, Energy, Food, Transport, Waste and Water and will set out a range of ideas to encourage and inspire sustainability within Nottingham. The group are currently asking for citizens, businesses and the voluntary sector to take part in an online consultation to ensure that the themes within the plan are accurate for the needs of the city. Nottingham Good Food Partnership whilst working on the food theme for Nottingham 2050 the group decided to formally work together to form the Nottingham Good Food Partnership and work towards membership of the Sustainable Food Cities Network. This group has now secured membership to this network for The City of Nottingham and is now working towards their bronze award. The Sustainable Food Cities approach involves developing a cross-sector partnership of local public agencies, businesses, academics and NGOs committed to working together to make healthy and sustainable food a defining characteristic of their city. The Sustainable Food Cities Network helps people and places share challenges, explore practical solutions and develop best practice on key food issues.